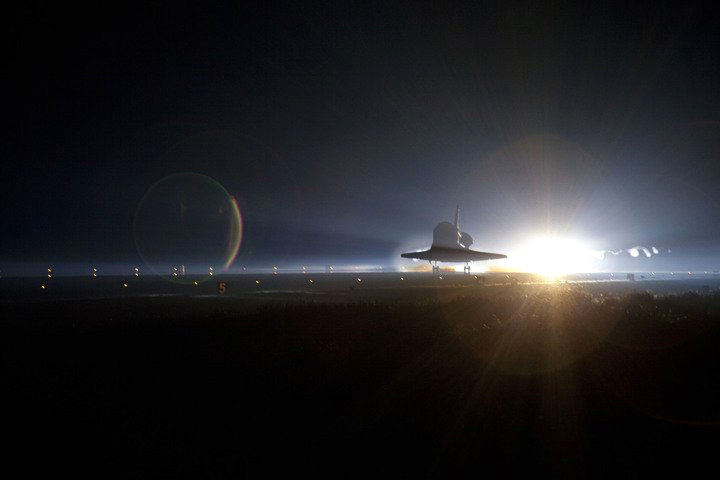 This morning, on July 21, 2011 at 5:57 am EDT, the space shuttle Atlantis and the STS-135 mission crew landed at Kennedy Space Center. It was the final landing of the last flight of the shuttle program, bringing its 33rd flight and a 30-year era of shuttle missions to a close. The official time of wheel stop was 4:57.54 am CDT. That was the last self-powered forward motion of a shuttle. I got up to watch the event live on NASA TV. The landing went perfectly, and I admit it was a bit emotional… especially since I was there in person to watch it launch back on July 8th. Somehow, even though I knew it was the last launch, while it was still up there in orbit it seemed as if everything was as usual. It wasn’t until its wheels touched down and it came to a stop that the reality set in: this is it. There are no more. I was four years old when the first shuttle launched. It’s hard to imagine a time without them. It’s also interesting how much attention they have been given recently too, as each shuttle completed its final mission and was retired in turn, up to and now including Atlantis. The emotions are running strongly; sadness for the end of the program and anger at the politics behind it, confusion as to what’s next for the US space program… but also hope for the coming era of exploration and private-sector technologies. And emotion is good, since the alternative is ambivalence. Which never got anyone anywhere. But it also goes to show that people really don’t know what they’ve got until it’s gone. I guess that’s just human nature. And really, how could we forget? Thank you Atlantis, and all of the shuttles and their crews. A job well done. Next Post Now that’s some groovy rock! Bravo, Jason. Well said. 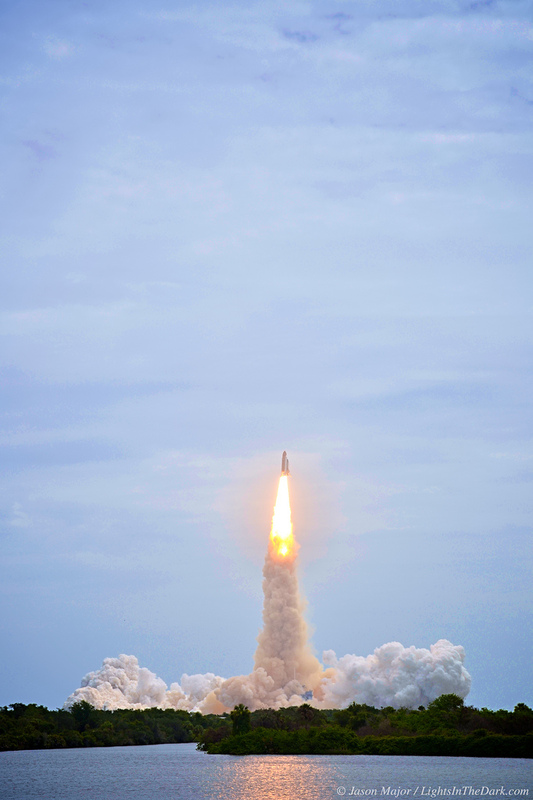 We have our memories of that final launch (and really of all launches that preceded it), but it’s time to look forward. Yeah a job well done !! And now like said Christine, it’s time to look forward. It’s the Obama program for Nasa isn’t ? ?